“Here’s how it was for me: during the day thirst consumed me, and at night the cold” (Gen 31:40). 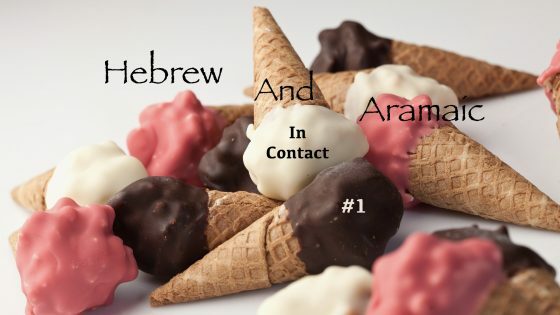 Later in time, the form גלידא was adapted to Mishnaic Hebrew in the form of גליד which means a piece of ice, and later in Modern Hebrew it became גלידה, and with that Ice/Cold became the word for Ice cream. One last word about the Onkelos Targum. Though it is called Onkelos, it was probably written in the 4th century in Babylon by R. Yosseph and not the Onkelos of the first century Israel.